Soda Blasting involves one of the softer abrasive blasting materials, rating an average 2.4 on the Mohs scale of mineral hardness (1-10). Most abrasive blasting cabinets aim to maximize abrasive recycles and minimizing dust collector service, and for this reason, most sandblasting uses harder abrasives like plastic and glass beads. Soda blasting is the exception, a one-time-use abrasive, used for special applications when recycling abrasive is not important. 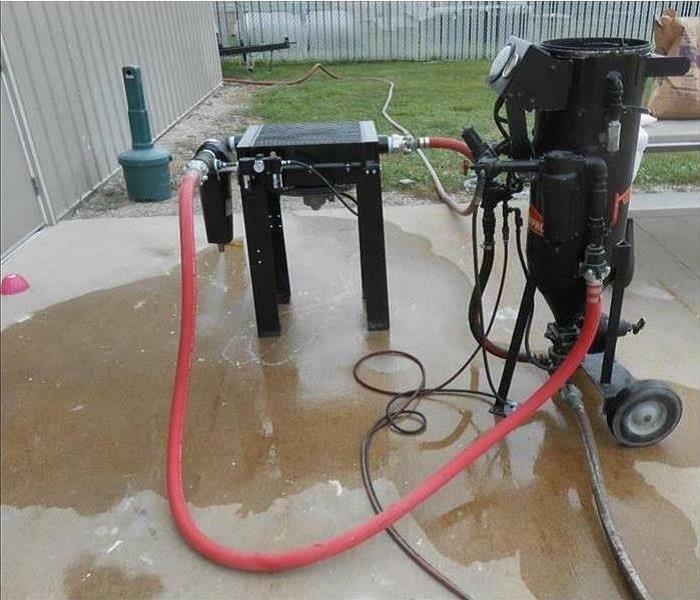 The main advantage of soda blasting is it’s a cost-efficient, single-use abrasive. Although recycling abrasive is the name of the game for most abrasive blasting applications, there are a few special applications not needing to recycle abrasive. Onetime use abrasives are used for applications like ship cleaning that require huge amounts of abrasive – it typically takes one million pounds of abrasive for an average ship – or maybe a smaller amount for the back bed of an old truck. Additionally, soda is the primary abrasive to clean oily parts because once it removes the oil; the abrasive doesn’t cycle back through to hit the part again. Soda is also water soluble making sure no abrasive remains in critical bearing areas! Know that soda used at higher pressure will surface etch and change part metallurgy. Exceeding maximum impact velocity will simply create a failed soda blasting cabinet with a failed dust collector. Because soda is now so popular, manufacturers and retailers are offering sub par quality soda blast cabinet to make a quick buck. They do not know the nuances of soda as an abrasive nor do they understand its limitations. Yes, soda has important characteristics, but it’s not a magic bullet. Soda cannot be recycled the way other abrasives like steel shot, steel grit, silicon carbide, aluminum oxide, garnet, and ceramic, glass or plastic beads. Being that soda is so soft; it explodes into tiny fragments upon impact with the object being blasted. Additionally, soda abrasive doesn’t work harden the part being cleaned because it’s meant to be used a low abrasive velocity. Today, because of the need for a soluble abrasive like soda, you see everyone selling soda blasting cabinets. Unless you have very few parts to blast or blast only a few times a month for minutes all these blasting cabinets that are supposed to contain the soda will soon be the biggest mess you could possibly imagine all with failed dust collectors. The problem is that some retailers sell cheap slag and soda to blast cabinet operators. Often, the operator thinks the soda can be recycled and runs the machine in excess of 60 psi in a siphon delivery system or 30-35 psi in a direct pressure delivery system. This causes the abrasive to explode on impact, severely reducing visibility and simultaneously creating tiny particles that are sucked into the dust collector – leaving the cabinet kaput. Pro Tip: If the dust collector gets packed with soda abrasive, the blasting cabinet fails, it’s that simple. Media Blast offers three duty cycle soda cabinet models: the Blizzard Soda Blast Cabinet, the N-200 Soda and the Pro Soda. Each is matched to a specific usage – recreational to industrial. Each model provides users an environmentally friendly clean part with its original finish intact, free from trace oil residue. If you think soda blasting is right for your application, Media Blast can supply you with a soda blast cabinet with superior visibility that keeps soda out of the dust collector to ensure your needs are met with minimal machine maintenance. Learn more about SERVPRO and Soda Blasting by contacting our Vermilion County office at (217)443-0077! Any time day or night, someone is ready to take your call. From start to finish, you will see that SERVPRO of Vermilion County will take care of your restoration emergency from start to finish. A fire, for example, can wreak havoc not only on your home or office but your precious time and checkbook too. There is no need to worry. Not only do we possess the experience, but the equipment and talent on our team to make sure the disaster looks like it never took place. After removing any drywall that is burned and unsalvageable, we will make sure your home down to the studs is clean and smelling great. Besides any demolition that needs to be done, we will begin reconstructing your home back to the way it was. This includes painting your walls as well. It will be like an entirely new room in your home. We are always Here to Help when you need us. Call us at SERVPRO of Vermilion County any time at (217)443-0077. Happy Spring! 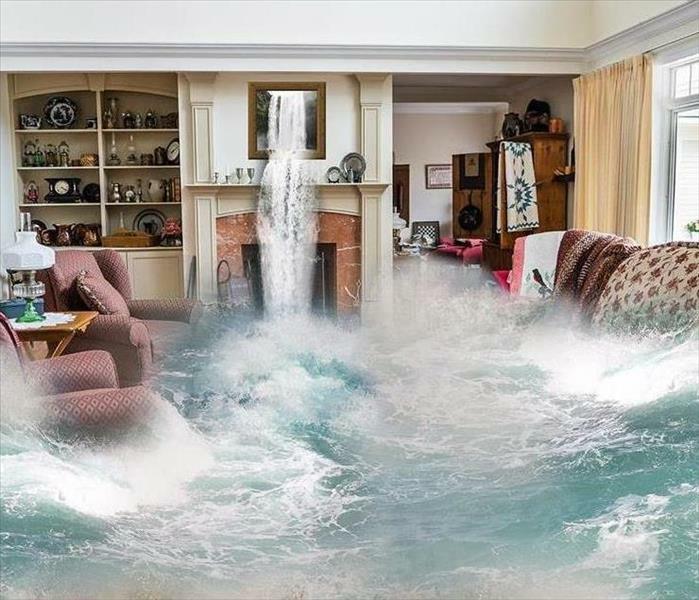 Time is of the essence when it comes to safeguarding valuables submerged in flood waters. Mold formation can begin within 48 hours of immersion, and contaminated "black water" can carry dangerous chemicals and pathogens. It's a good idea for homeowners in Vermilion County to learn about content cleaning before disaster strikes. Here are a few tips on what can and can't be salvaged, and how to minimize damage to precious belongings. Admist the many aspects of maintaining your home in Vermilion county, attending to a bathtub leak can be frustrating without an idea of what to look for. 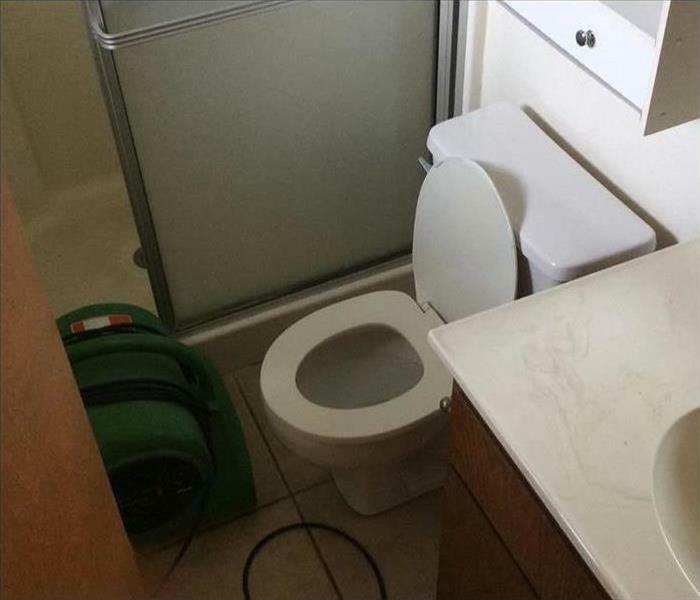 It is important to remember that some signs of damage are easier to distinguish that others; however, confirming the occurrence of a leak is possible with a keen eye and a thorough bathroom inspection. Pooling water near the shower pan. This is often the result of a shower door with a poor – quality seal and is one of the simplest leaks to repair. 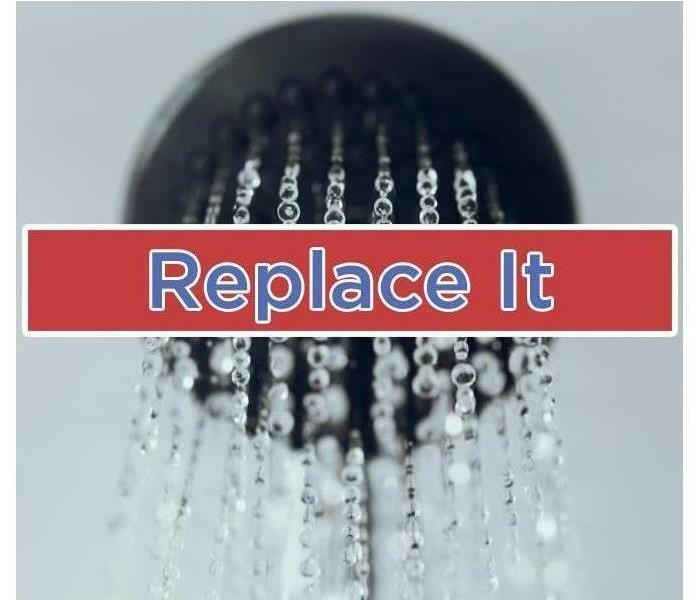 While diagnosing a shower or bathtub leak can be challenging, and informed approach can simplify the process. Understanding what to look for and when to contact a professional can make a difference in preserving your home. Commercial fire can be devastating, harming both human and property. Every year, there are as many as 75,000 commercial building fires in the United States. U.S. fire departments responded to about 3,300 office property fires per year. These fires caused an annual average of 85 civilian deaths, 1,325 civilian fire injuries and $3.2 billion in direct property damage, according to the (NFPA) National Fire Prevention Association. Though some are small and cause relatively little harm, many others pose a great risk to life and property. 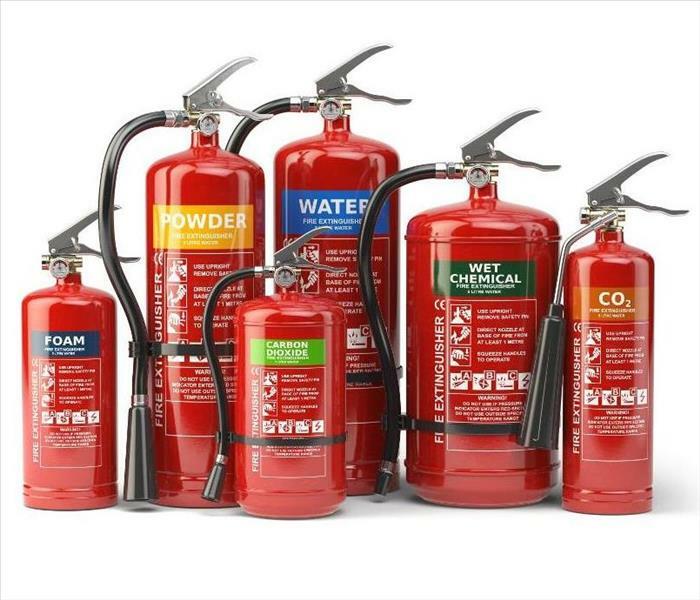 Fortunately, many fires can be prevented if you’re aware of the potential hazards. Here are several of the most common causes of commercial building fires. 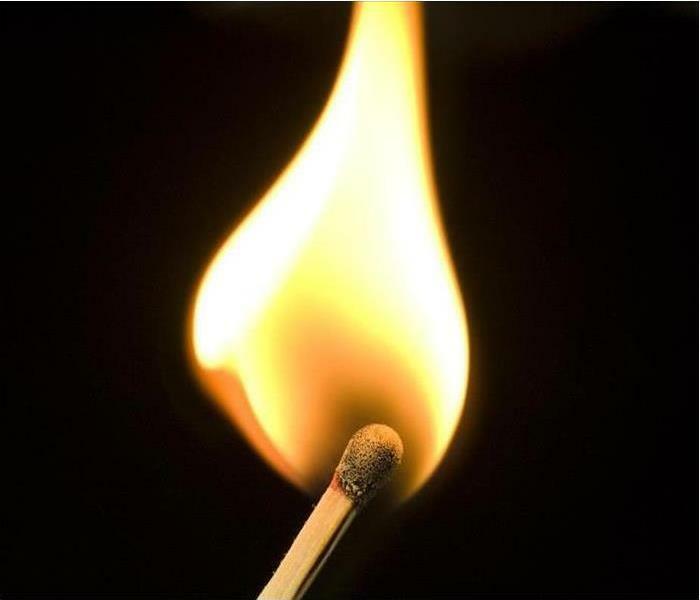 Electrical issues are another frequent cause of commercial fires. For example, outdated equipment, loose or frayed wires, and overloaded plugins can spark a fire with little to no advance warning. This is why it is so important to make certain your electrical equipment, including boilers, hot water heaters, and furnaces are in good working order and able to handle their workload. To ensure your equipment/ appliances are functioning properly; you may want to invest in a portable appliance tester (PAT). SERVPRO of Vermilion County can respond immediately to your commercial fire damage emergency regardless of the size or scope of the damage. 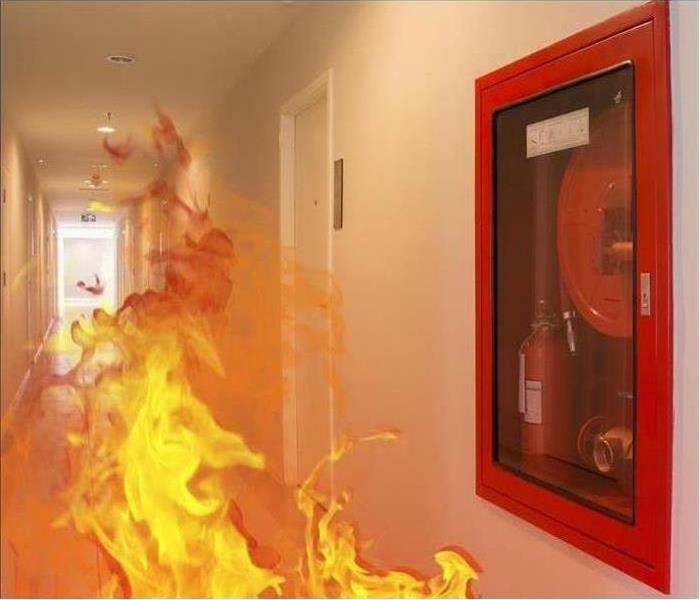 Whether your fire emergency occurs in a restaurant, motel or office building, we will respond quickly to mitigate the damage and manage the restoration project through to its completion. Fire damage in Vermilion County does not have to be a headache. The situation is mainly because the SERVPRO tech can take care of everything. They can start by inspecting that areas near the source of the fire and see how far the damage has moved through various structures. There are different types of smoke residues, and the SERVPRO specialist can select a cleaning method that can effectively remove these residues. Another thing to note is that the type of surface that has undergone the fire damage may require specialized cleaning method and products that are sale to use on the surface. The fire restoration experts may have to be cautious to preserve the materials or surface during the cleaning process. When you find water pooling near your home’s toilet in Vermilion County don’t panic. Check to see if the leak is coming from the tank or the base. If the leaking toilet is at the tank, you can easily fix it with the following eight steps. 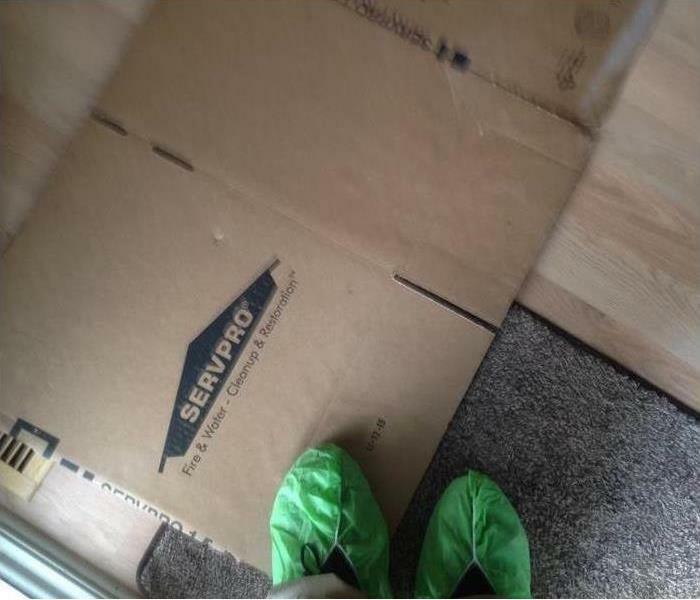 Cardboard and shoes covers used to protect flooring. 4/15/2019 - Why SERVPRO? Because We Do It All!